With votes from two judges of 116-112, and from a third of 112-110, Mayweather has taken the win against Manny Pacquiao in tonight's fight! 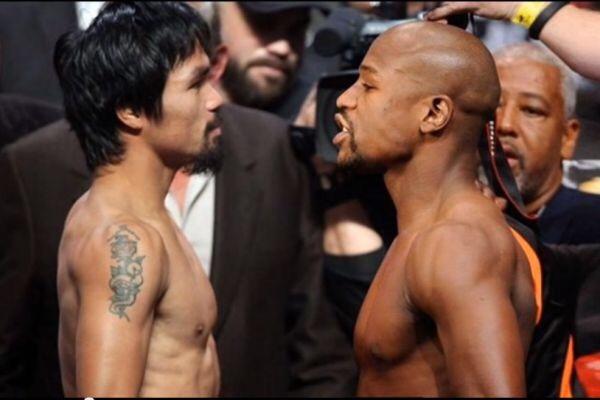 With tonight's win, Floyd will retain both his WBA and WBC titles, and now he claims Pacquiao's WBO belt! Despite Mayweather having an obvious record of 47-0 with 25 KO's (He's now at 48-0, 26 KO's), there were many, for whatever reason, that we're hoping for a victory in favor of Pacquiao. That notion became evident when Mayweather was announced as the winner, and the crowd burst with a series of boo's. Of course, none of that phased Mayweather. This was undoubtedly the most lucrative fight of his career, not to mention boxing history, bringing in an estimated $400 million. Floyd stated again tonight that following his next fight in September, he would be hanging up his boxing gloves for good.